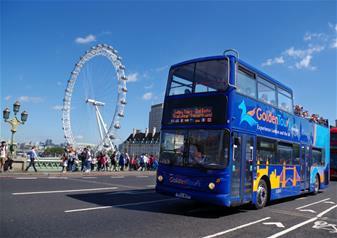 Discover the very best of London with the 1 day hop-on hop-off ticket! Taking you to all the places you could want including Buckingham Palace, the Tower of London, Parliament Square, the Shard, the London Eye and many more, you will be treated to some of the best views of the capital! As you hop-on and off at over 60 stops on 3 different routes, you will be given fascinating commentary by our audio guides (available in eleven different languages). On the Essential Route, there will be a live English-speaking guide giving you the very best London knowledge before you reach your stop! Enjoy an extended visit to the world-famous Stonehenge on this fascinating morning tour to the Salisbury Plain! Was it a burial ground? A way to worship the sun? This is your chance to piece together the facts and decide for yourself what these ancient monuments represent! To give you the full experience, educational audio guides will be offered in a variety of different languages (English, French, Italian, Spanish, German, Japanese, Mandarin, Russian, Dutch and Polish). You will also have the chance to explore the new visitor centre which has a fascinating museum to explore! With permanent and temporary exhibitions to bring your Stonehenge adventure to life, a shop and a cafe full of scrumptious treats, you will be sure to have an unmissable time!